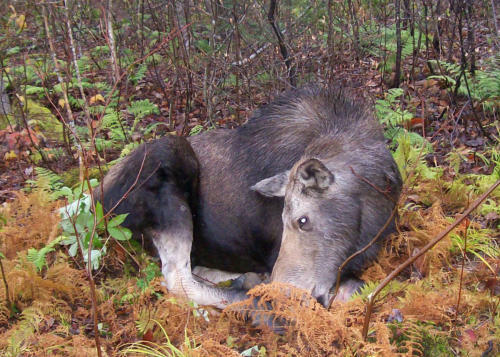 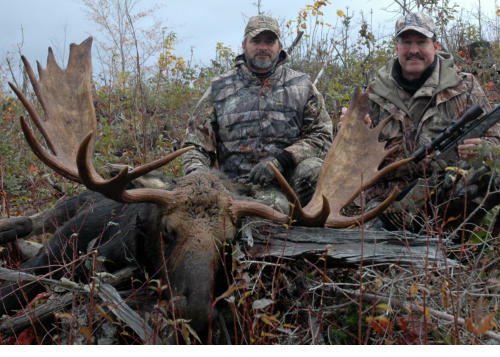 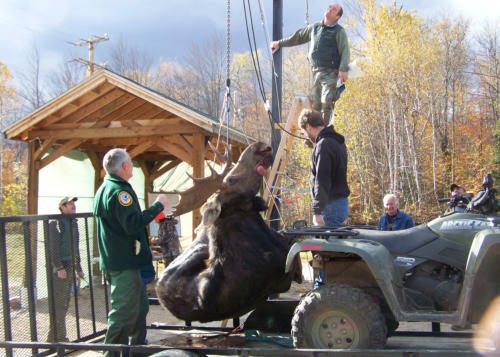 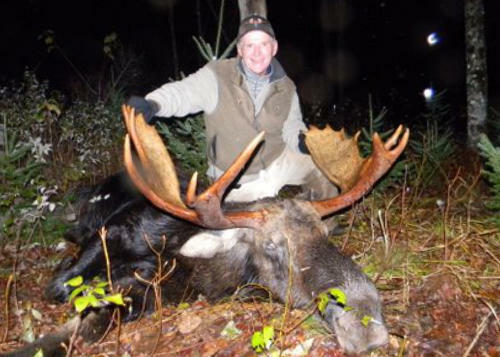 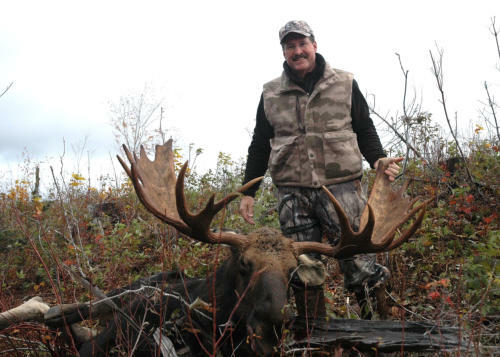 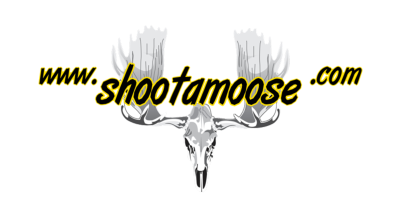 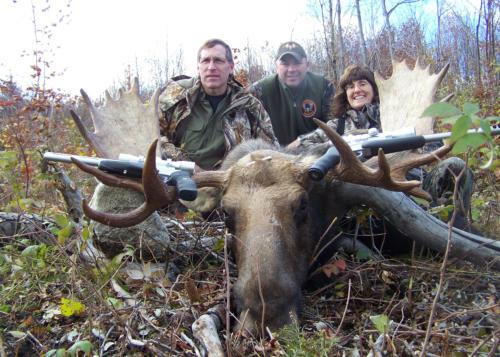 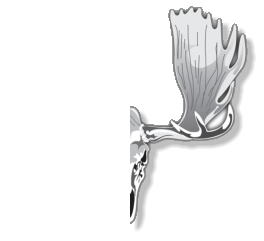 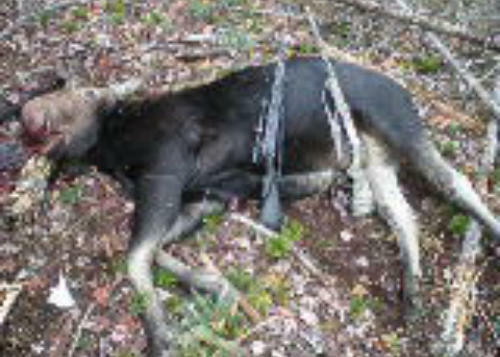 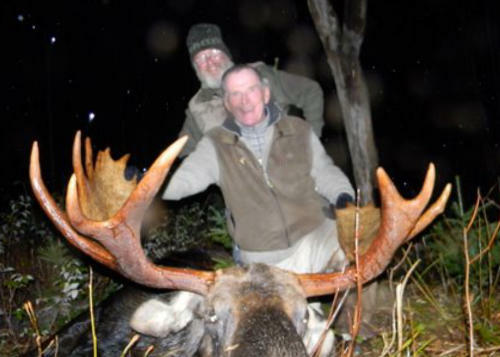 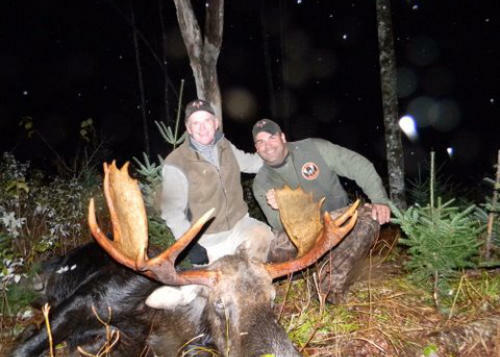 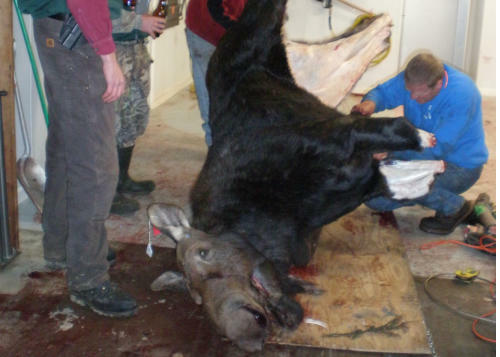 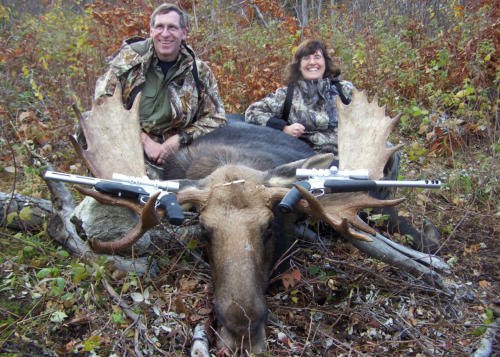 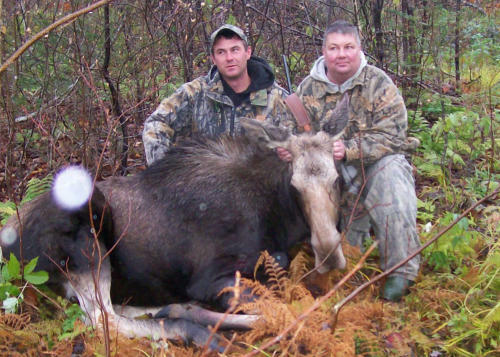 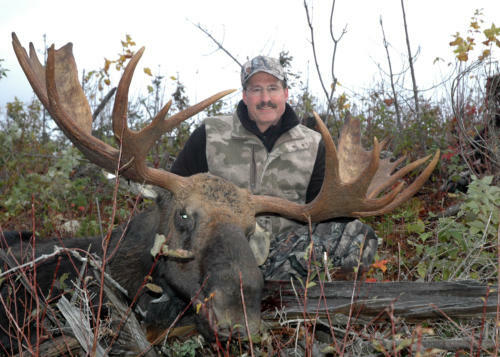 2010 Photo Gallery Moose These 2010 moose hunters know what a great hunt is all about. 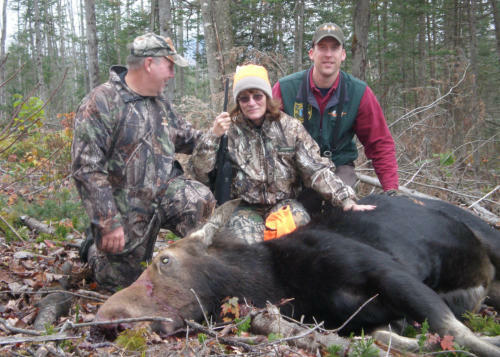 © Northern NH Guide Services 2015 All Rights Reserved. 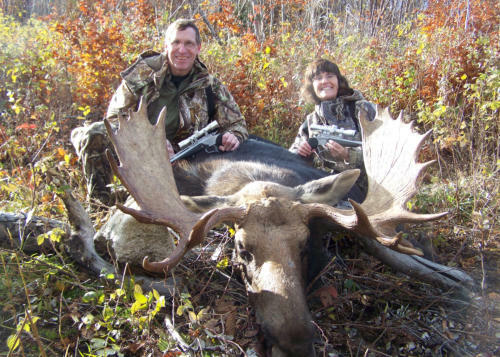 Wendy looks like a Pro! 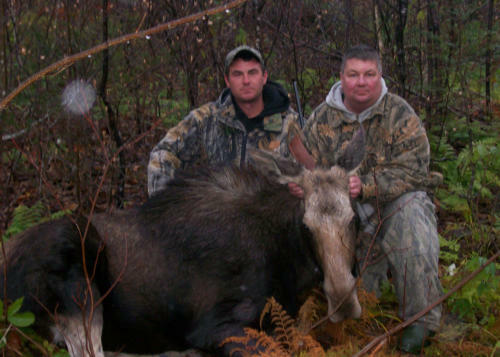 Mark Schur and Mark Jr.
BIG Cow! 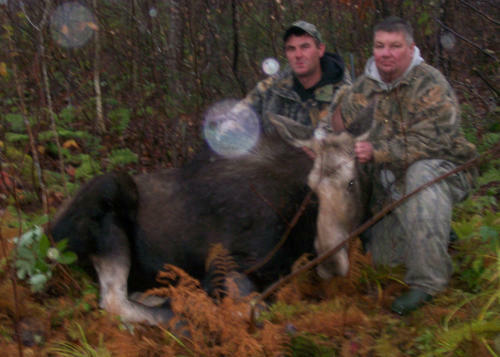 So far 2010 State Record! 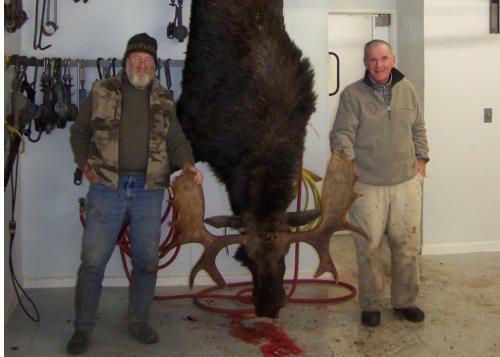 730 lbs. 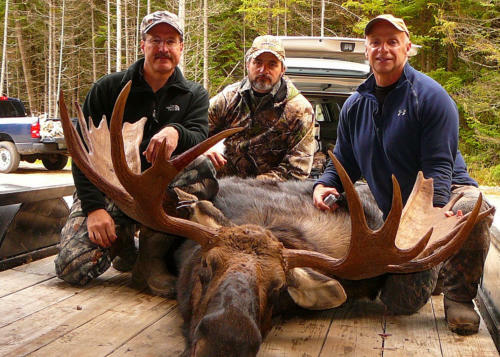 57 1/2 Inches and 820 lbs.